First of all, the physical make-up for such a consortium still remains largely unknown out-with the public face of Paul Murray. We have heard the usual names thrown about, ‘Dougie Park’, ‘James Mortimer’, ‘the boy King’…..
What is evident is that this is a group of people, fronted at least by a man that had no interest in buying Rangers 18 months ago. A man that was at the club in previous years, and therefore must have a reasonable knowledge of what was happening financially at the club. When Craig Whyte assumed charge of Rangers the club were in a sticky financial situation. A bank debt and the potential for a serious tax bill from HMRC for the use of EBT’s; if deemed to by the FTT. A year or so on and Rangers find themselves in a melee of debt to unsecured creditors, and with a corporate web of deceit leading many to look at Rangers with distain rather than the apathy that some may hope for. Today, we are supposed to have the announcement of a preferred bidder. As it stands Bill Miller and The Blue Knights would appear to be the only people in place to make an offer. The question is: what is the right offer for ‘Rangers’. Not for the creditors, but for ‘Rangers’; the fans etc. There seems to be a stubborn desperation to ‘keep the history’. I can understand that in an emotional way but let’s be hypothetical here. Let’s for instance, say that The Blue Knights assume control of Rangers; agree a CVA at some point along the line (which would cause uproar should HMRC agree to such) and bring the club from administration. It sounds idealistic, because it is. What is next for Rangers? I have heard a lot of talk about a share issue raising £50million. I am willing to deem those figures as fanciful if I am honest but let’s go with it. The club is then sold on to someone or some group else (fans perhaps, whatever). The club keeps its history and lives happily ever after within its means. Great, potentially a 10 year plan that before it happens requiring others to fund the club up front in the short term until the club finds a financial plan that is manageable. My biggest problem with this: HMRC and a CVA. I have pointed out to other that HMRC HAVE cut deals in the past. After some debate and discussion it was pointed out to me that as much as this has happened it has usually resulted in some major upheaval and resignations. This has taken me to the conclusion that HMRC agreeing to anything is possibly a lot less likely than even I at first thought. The second option: liquidation and a fresh start. 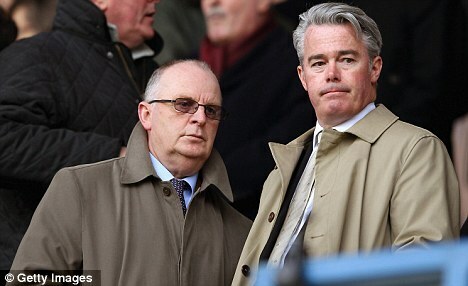 It is generally accepted that Bill Millers bid would result in Ibrox, Murray Park etc. still being used with probably the only real change being the company legality itself. The ‘stigma’ of losing one’s history may have no option to apply here but it also removes quite a lot of other things also. Debt for a start, liability to HMRC for the EBT’s being another. All of this would effectively be dead in the water. The first fear of liquidation was starting out life in the lower reaches of Scottish Football. Without covering old ground I believe that the proposals put forward for the SPL meeting on April 30th effectively open the doorway for any new Rangers to enter straight in the billboard charts in the top 10 (or 12…). Sanctions? What sanctions? As they are currently worded they are wide open to legal challenge; indeed I have suggested that they might very well be laughed half way up the Royal Mile. Is a newco really that bad? The reason that I ask this is because a ‘newco’ is a fast track way (it would appear, as things are panning out) for Rangers to return as a competitive entity in the SPL. This CVA talk is all very noble et al, but is it practical? Would Rangers fans, to preserve their history, be accepting and stand by their team that is finishing in the bottom 6 perhaps, for the next 10 years? There is no guarantee that this is the case but it would appear to be the more likely outcome for Rangers who would have massive financial constraints for the foreseeable. One thing is for sure; there is no short term fix to this problem and my fear is that all the Rangers fans demanding the blue Knights ‘save the club’ could be the first ones to get bored and lose patience when they realise the club has no bigger pot to piss in than it does right now. But for what? … History, the past, dreams lived, memories had? This entry was posted on April 23, 2012 at 10:55 and is filed under Glasgow Rangers, Tax Case. You can subscribe via RSS 2.0 feed to this post's comments. If you put aside the moral questions of a Scottish institution “stiffing” it’s creditors for huge sums of money, and generally cheating every other team in Scotland for 10 years, then, what does it boil down to? A NewCo is a simple option, “Govan Rangers” or something similar would be a new team, getting into the SPL would be a bit of a slap in the face for all the other teams, who might want to enter the SPL, if the SPL voted for it because of the revenue, then who’s to say what else they’d do because of the revenue? Govan Rangers not doing too well next season in the SPL, get relegated, ahh…no, wait, think of the revenue, let’s relegate the second bottom team instead? Or decline a promoted team? What if Govan Rangers were doing only slightly better, finished outwith the top 6? Oh…think of the revenue, let’s swap the games around (or the teams) so that the Sky contract gets fulfilled?